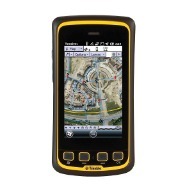 Trimble just released the Geo7 series. The Geo 7X drives improved field productivity no matter where you need to work. The ProXRT receiver offers the ability of getting down to sub-decemeter (4 inch) accuracy whether you post-process the data or subscribe to the OmniStar DGPS service. ESRI is the laeding provider of GIS software. We are proud to be an authorized ESRI business partner. 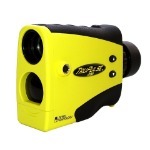 Whether you need a laser rangefinder for doing offsets while collecting GPS data or simply calculating the height of your power poles, Laser Technologies offers a superior product. Trimble offers the most powerful and rugged field computers. If you need a device to log data from a GPS receiver of any other environmental sensor you will want to check out these options. Trusted data collection whenever you need it. Check out Trimble's Juno 5 & Juno 3 series. Trimble Mapping & GIS is pleased to announce that the Trimble® Customer Store is open for business. Beginning June 19, 2006, customers in the United States may order Trimble Mapping & GIS products via the Internet on the Trimble Store.